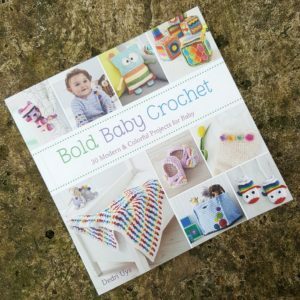 If I were to ask you what my two favourite crochet items were, you would probably say blankets and shawls, or puzzle balls and toys (depending on when you started following my design journey). 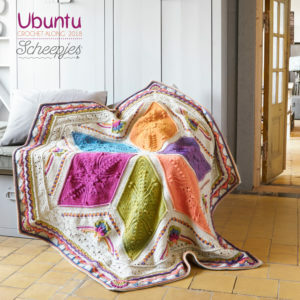 In fact, my favourite and most-used projects are baskets and rugs. 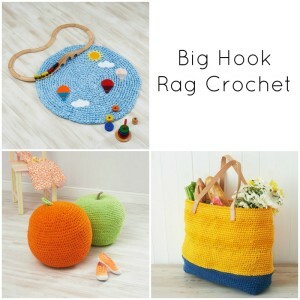 Rugs, because they throw me back into childhood quite viscerally (this will be old news to you if you have read my Introduction for Big Hook Rag Crochet), and crochet baskets for their infinite number of uses! 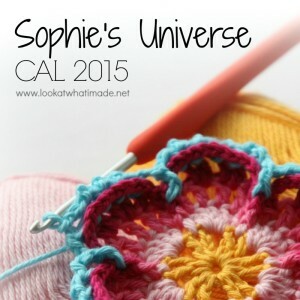 Once a month, I write a crochet-related post for Craftsy. 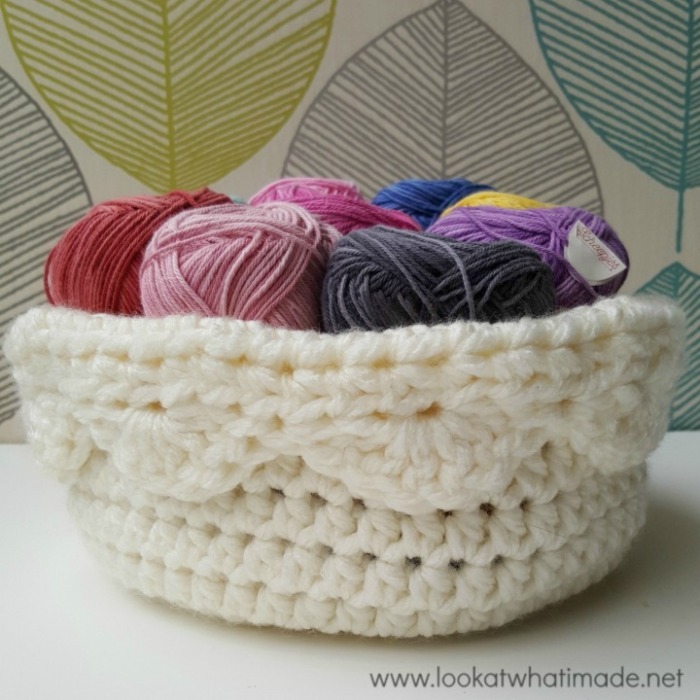 My most recent post is a guide to making a simple round crochet basket with a scalloped edge. 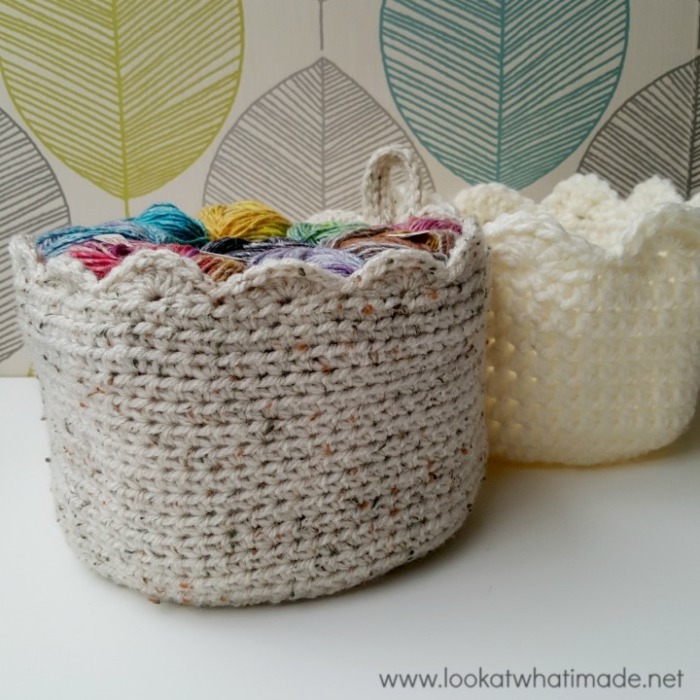 When I took the photos for this post, I had only made two baskets using this specific pattern, but I have since made two more to compliment my growing collection of crochet baskets. It is a brilliant stash-buster because you control how big (or small) you want your baskets to be. 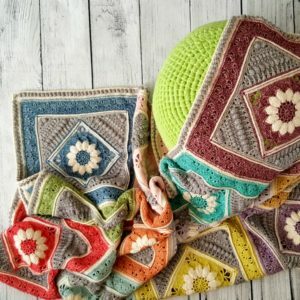 It is also a pretty mindless pattern, which is brilliant for tv time (The Fall and Westworld being flavour of the month) and mindful crafting. 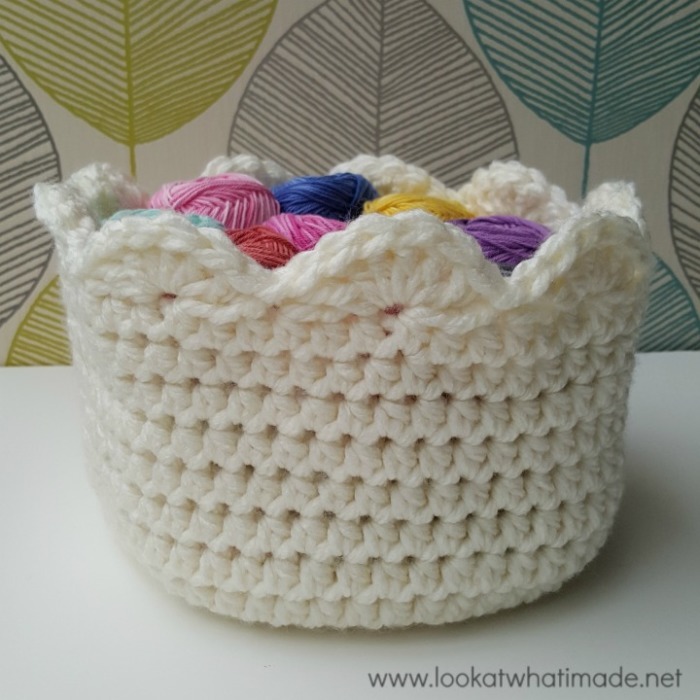 You can find the free pattern for this crochet basket HERE on Craftsy. Suggestions are provided for making a larger basket, as well as hints to help you get a nice flat base. I made one basket following the pattern as written, using Scheepjes Roma Big and a 8 mm crochet hook. It is currently housing my very small stash of Sunkissed yarn. I prefer to make my baskets deep because I can always fold the edges over to make them more shallow should I need to. I made the second basket with worsted weight yarn (unknown scrap yarn) and a 5 mm hook. That one ended up having a 10-round base and 15-round sides. It fits neatly into my Roma Big basket. 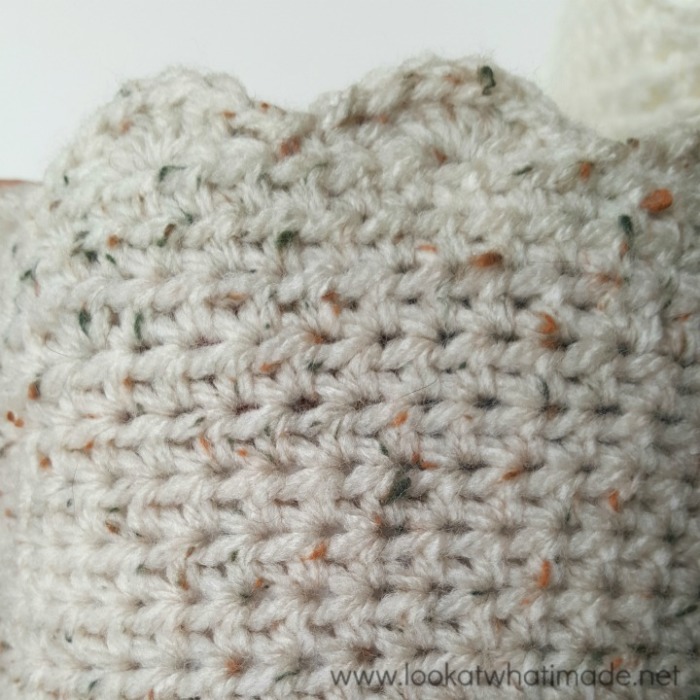 I turned this smaller basket inside-out because I love the way half-double crochet stitches look on the wrong side (when worked in the round). This smaller basket has become home to my equally small (and quickly-diminishing) stash of Secret Garden yarn. 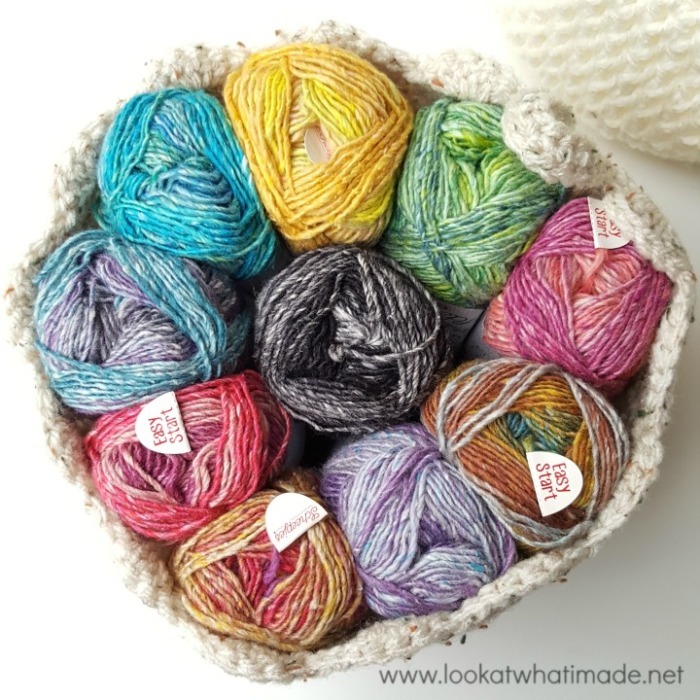 I’ll tell you all about the Secret Garden yarn soon. 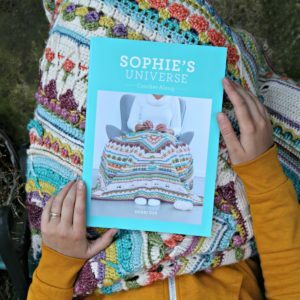 In the meantime, you can read a review about it HERE on Crafts from the Cwtch. 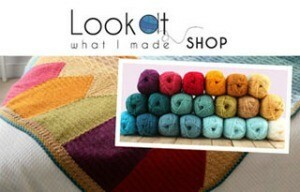 You can also buy the yarn HERE from Wool Warehouse (my favourite colourway is Rose Arch). 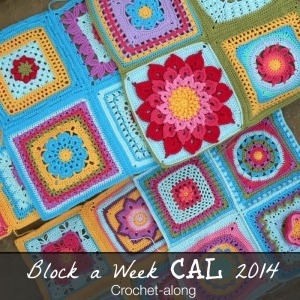 I hope this pattern encourages you to use up some of your stash yarn (think Christmas presents). I would love to see your baskets, so please share photos using hashtag #atouchofscallopbasket. 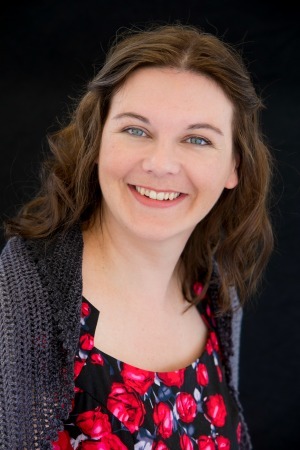 Hi Dedri! These are so cute. 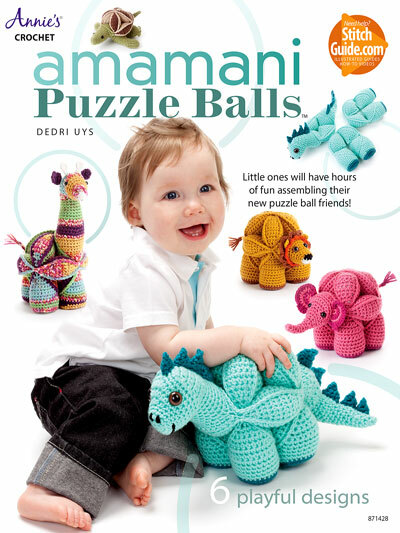 I may use your pattern for some Christmas gifts. I am going to make some coasters for my co workers & these would be the perfect companion. Just Beautiful!! 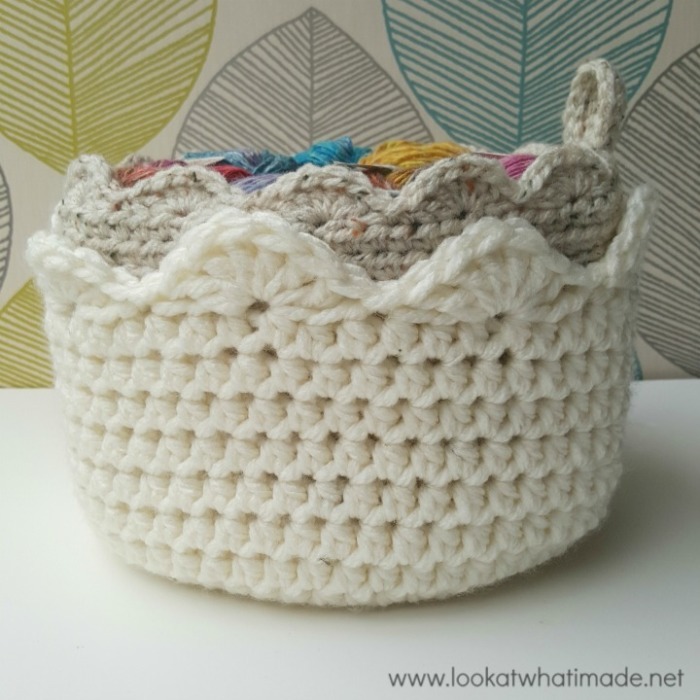 Love the Look of Crocheted Baskets!